Most farmers and ranchers choose their profession, in part, because they love independence, a rural environment, animals and family involvement. But while that lifestyle creates joy and satisfaction for many, it also entails risks. We all know the physical-injury risks inherent to farming and cattle production. We often fail to account, though, for the emotional toll farmers sometimes pay while trying to maintain a viable business. 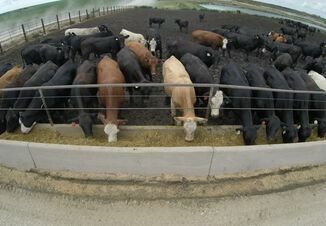 Farmers and ranchers experience behavioral health disorders such as anxiety and depression at rates similar to the general population, but incidences can vary depending on stressors like market trends or drought, says Mike Rosmann, a farmer, cattleman and clinical psychologist from Harlan, Iowa. His website, www.agbehavioralhealth.com, focuses on wellness issues for farmers. In 2005 through 2007, Rosmann led a large study of nearly 43,000 callers to statewide farm-crisis telephone hotlines in seven Upper Midwestern states. In that study, 28% reported difficulty coping with daily roles or activities, 28% reported feeling depressed, 25% had marital or family concerns and 14% indicated stress over finances. All too frequently those conditions lead to suicide. In a 2012 study from the U.S. Centers for Disease Control and Prevention, the suicide rate among the general population over the age of 16 was 16.1 per 100,000. However, people working in the farming, fishing and forestry group had the highest rate of suicide at 84.5 per 100,000 people. Among the potential triggers for depression and suicide among farmers and ranchers, economic stress ranks near the top. When their family business is threatened, farmers tend to blame themselves and perceive the problem as a personal failure, Rosmann says. Natural disasters such as drought, snowstorms or fires certainly take an emotional toll, but farmers feel less personal guilt. In multigenerational family farms, the prospect of becoming the generation that ends the legacy represents a huge emotional burden for owners, even when financial threats are outside their control, adds Lorann Stallones, Colorado State University Department of Psychology. Farmers also become emotionally invested in their animals. 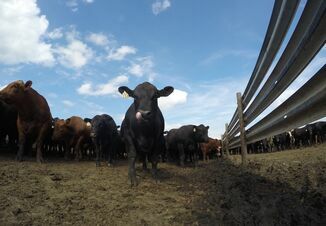 When the 2001 foot and mouth disease outbreak in the United Kingdom led to the slaughter of millions of animals, the suicide rate among farmers incr-eased temporarily by a factor of 10. Stallones adds farmers and ranchers tend to be strong, independent, self-sufficient people who sometimes resist admitting a problem or seeking help. They work long hours, often in isolation, facing risks outside their control. Exposure to toxic substances, succession issues, family disputes, death and divorce can contribute to behavioral health disorders. Notably, Rosmann says people often can cope with individual challenges, but three or more stressors at the same time can be overwhelming. Pay attention to early warning signs. Asking a friend, family member or client how they are doing and listening carefully to their answers can serve as a critical first step in addressing a problem, says Robert Fetsch, retired Colorado State University Extension human development and family studies specialist and director of the Colorado AgrAbility Project. Even asking a person if they are considering suicide will discourage them to from following through. Listen for the “flat affect” in a person’s answers—the lack of emotional expression, which can indicate depression. You ask someone how they are doing and they respond “I’m fine,” but their delivery is flat and emotionless. It is normal for a farmer to be upset, angry or frustrated when facing financial challenges. A lack of apparent emotion could signal more serious problems, especially if the behavior persists. Ask follow-up questions, offer support, enlist the help of family members and encourage professional counseling if a person seems depressed. Watch for “calls for help,” Fetsch says, noting that how a person says something can be more important than what they say. If Dad says he wants to give you the combination to the safe containing critical business and family documents, for example, it could be just a prudent precaution. Or, if his approach has a lack of emotion or a sense of resignation, he could be showing emotional distress. 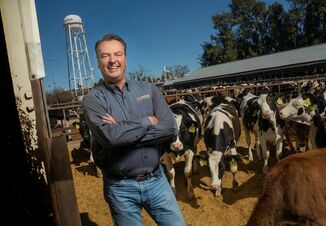 An unusual increase in herd health problems could indicate a change in the behavioral health of the owner or manager, Fetsch adds. Depending on the individual, some of these behaviors could be normal. Abrupt change is the key indicator there is a problem, such as when a normally calm person becomes angry or a social person turns to isolation. Depression and suicide often involve a feeling of having nowhere to turn for help. Talking with a spouse or other family members, trusted friends or clergy can help prevent or resolve behavioral health problems, Rosmann says. Also, visit your family physician. Medical doctors often maintain networks of professionals who can diagnose and treat behavioral conditions. New York, Vermont, Iowa, Nebraska and Wisconsin maintain farm-crisis hotlines, with counselors well-versed in the challenges inherent to agriculture. For people in other states, the national suicide hotline offers good emergency assistance. Just breathe, Stallones says. Farmers might not be ready to practice yoga or meditation, but sometimes just stopping, closing your eyes and taking a few deep breaths can help you regain perspective and prevent a buildup of stress, anxiety or anger. Healing requires time. The first step is acknowledging the problem. The next is seeking help. You wouldn’t ignore a lame cow or a scouring calf, hoping they will get better on their own. Likewise, don’t ignore signs of behavioral illness and leave them untreated, in yourself, your family or your neighbors. Editor's Note: This article originally appeared in the April 2017 of Drovers.